Children’s books are making a splash at this year’s Dublin Book Festival! Not only that, but Little Island are one of the big rocks that are making it (did we carry the metaphor too far?). We’ve got four brilliant events lined up with the festival, two of which are for young readers and two for adults. 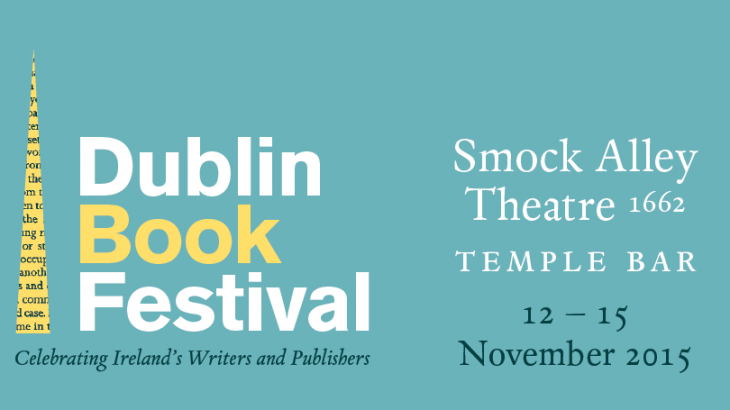 Check them out below and click on the titles to book on the Dublin Book Festival website! We invite you to join Aoife Murray, Programme and Events Manager at Children’s Books Ireland, as she discusses the secrets and joys that come with writing for young adults and children with three of Ireland’s best-known practitioners: Eoin Colfer, Laureate na nÓg and author of the world-famous Artemis Fowl series; John Connolly, known to younger readers for his Samuel Johnson supernatural novels; and Marie-Louise Fitzpatrick, author of many picture books and novels including Hagwitch, winner of the Children’s Books Ireland Book of the Year Award 2014. In association with Little Island Books. Join award-winning children’s writers Paula Leyden, Oisín McGann and Seamus Cashman for a storytelling extravaganza celebrating the release of Once upon a Place – a new collection of stories and poetry from the very best in Irish children’s writing, published by Little Island Books and edited by Laureate na nÓg Eoin Colfer. All three writers will perform stories and poetry before dividing the audience into groups for workshops, where young readers will use different styles and forms of writing and storytelling to express their own story ideas. Cute things are gross. It’s a known fact. Babies, puppies, tiny rabbits… ugh. And sometimes adorable little smushface things aren’t just gross… they’re evil. Join Dave Rudden as he reads from Brain Drain Baby (Little Island), a story about sinister siblings and insidious infants. Creepy musical accompaniment will be provided by Bryan Mullen (Newpark School of Jazz) and there will be a chance for the audience to make their own adorable little monsters. If you’re a writer with a manuscript ready to submit or are generally interested in finding out how to impress publishers and editors, join our panel for an afternoon of expert advice about best practice when submitting your work. Declan Meade, publishing manager and founder of The Stinging Fly will be in conversation with Gráinne Clear, Publishing Manager at Little Island Books; Dan Bolger, Commissioning Editor at New Island Books; Helen Carr, Senior Editor with The O’Brien Press and Patsy Horton, Managing Editor of Blackstaff Press. Festival editors, events, once upon a place, writing, writing tips. permalink.